Aviassist is proud of our passionate and professional team. Irwin Jefferies is a commercial RPAS Instructor and piloted Helicopter Instructor with considerable experience across a range of rotary aircraft. Based in Brisbane, Irwin leads Aviassist drone training Brisbane, Queensland and the Northern Territory. Irwin gained his Commercial Pilot Licence (Helicopter) in 2008. His first commmercial flying job was a with Ardmore Helicopters in Auckland. He spent a few years gaining experience before completing an instructor rating and continued with Ardmore Helicopters as an instructor. From there Irwin moved to Australia, basing himself on the Sunshine Coast to train foreign military pilots. Before joining Aviassist in 2017, Irwin was a helicopter pilot for an exclusive island resort outside of Cairns. With thousands of hours flying and instructing Irwin brings considerable aviation experience to the Aviassist team. Irwin’s interest in RPAS training was piqued when seeing an Aviassist job advertisement for an RPAS Instructor. Understanding the industry was in its infancy and seeing what Aviassist was wanting to achieve, Irwin aspired to get in at ground level and help shape its RPAS industry future. Irwin believes with an increase in airspace integration, applications replacing high risk piloted aircraft activities will become the norm. Aviassist’s drone training Brisbane facility is located in Brendale. Training can also be arranged from our secondary location at Acacia Ridge. Established in 2008, Aviassist is a Civil Aviation Safety Authority certified company specialising in drone training and dedicated to providing aviation expertise to Australian Business. We describe ourselves as “your partner in aviation” and our motto “facilitating flight” describes our commitment to ensuring any aviation activity can be made straight forward and stress free for our partners. Aviassist began its journey as an experience base of professional pilots, providing flight crew for Aeromedical, Aerial Survey and Corporate Charter. Sharing our knowledge with the next generation of commercial pilots, aviation training was incorporated, providing real world experience to aspiring flight crew. Since Aviassist was founded, remotely piloted aircraft technology and associated applications have begun to rapidly evolve, making these new aircraft financially viable for a large range of commercial applications. 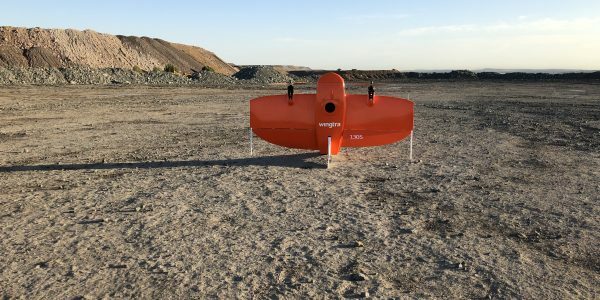 Aviassist has evolved into a company embracing remotely piloted aircraft and has pioneered custom drone training solutions for commercial drone operations. Aviassist has grown into a company that conducts regular drone training and piloted aviation theory courses Australia wide. We specialise in training those with little or no exposure to aviation and have many years and thousands of hours of real-world experience to share. Aviassist is passionate about promoting safe aviation activities and increasing business efficiency through the use of the latest technology. Civil Aviation Safety Authority approved and independently audited, Aviassist is your first choice for professional drone training.